After the establishment of the Post Office, a public school was the next priority for the village. 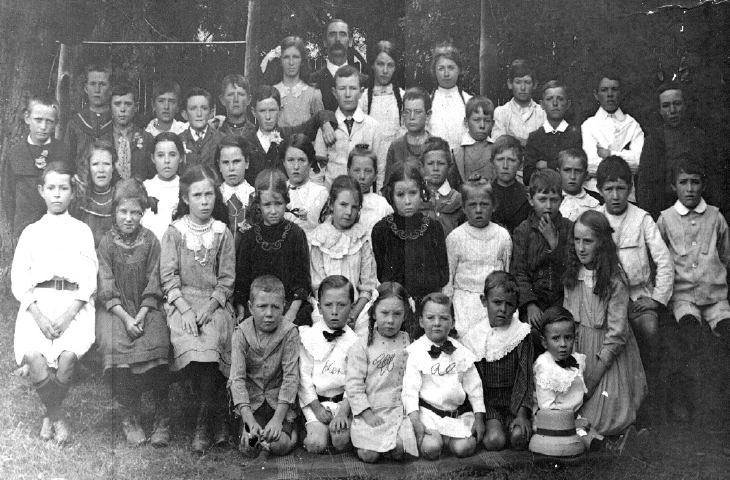 On 31 December 1863 J. P. Christoe prepared a school application stating that there would be from 65 to 90 children from the mine and about 25 from the surrounding area, who could attend the school. A Public Meeting had elected a representative sample of residents as patrons. They included John P. Christoe, mine manager (Church of England), who was elected as secretary, Josiah Holman, mining captain (Church of England), William Smyth Blood, accountant (Church of England), George Rycroft, butcher (Church of England), John Jenkins, carpenter (Wesleyan Methodist), Eynon Deer, mason (Other Denomination), Thomas Hussey, smelter (Other Denomination), James Buckley, miner (Church of England), and Joshua Hunt, teamster (Roman Catholic). Like the petition for the Post Office, the application for the school and later school correspondence provide a roll call of the Cadia Community. The Cadia National School opened in December 1865 with Henry Bonnar as schoolmaster. John Penrose Christoe, Josiah Holman and William Smyth Blood were appointed as the first members of the School Board in March 1867. On 26 July 1867, Thomas Hussey, “Chief Smelter to the Cadia Copper Mining Co” replaced J P Christoe on the School Board. 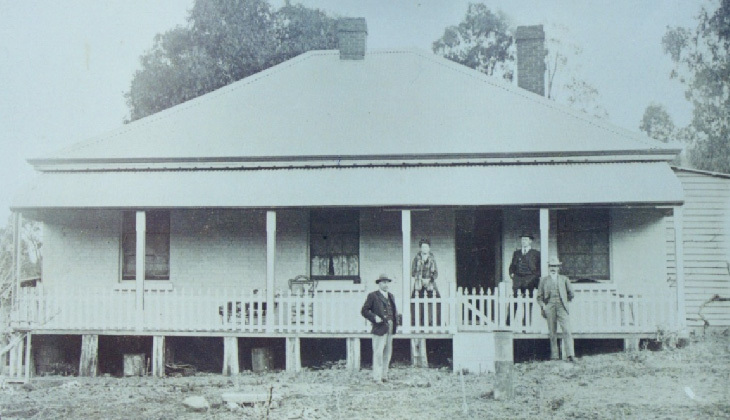 William Dixon, accountant, and Gustavus Richard Glasson, landholder, were also appointed in 1867. “itinerant players, musicians, lecturers etc. The Bell Ringers before I came here broke the front door, Mr Jackson – a magic lantern man – made a bad mess of the floor with his oil lamps & if the Simonsens – violin players exhibit here tomorrow some damage & considerable inconvenience must follow”. On 24 June 1868, Josiah Holman informed the Council of Education that the mine had stopped, but in November 1868 also organised a petition to keep the school open. Henry Bonnar left the school in March 1867, before the mine closed, but was replaced by Frederick Green in June 1867. The school was renamed Cadia Public School. Malcolm Macpherson became schoolmaster in 1869, followed by a series of schoolmasters in later years. 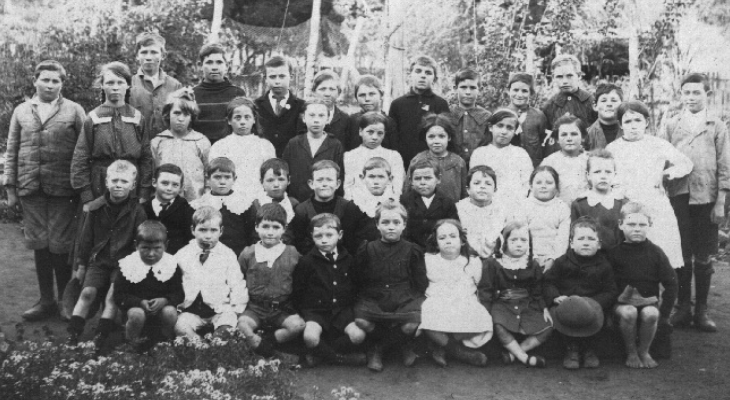 The school survived the closure of the mine and served the Cadia community until 1930. The school re-opened briefly in 1943, but was finally closed in June 1945. State schools in the nineteenth century were not free. It was the schoolmasters responsibility to collect the fees for each pupil from the parents. On occasion, adverse conditions like the closure of the mine or unemployment made it impossible for parents to pay the fees. In one case, Mr. Hadley, the schoolmaster, was fined 5s for inefficiency in the collection of school fees, even though the parents may have been unable to pay. The enrolments at the Cadia Public School and other Post Office records provide a general indication of the fluctuations in the fortunes of the Cadia community from 1863 onwards. Using this evidence, Brian French has suggested the main periods of mining activity were between 1863-1867. 1872-1877, 1887-1890, 1909-1916 and 1918-1928. List of schoolmasters at Cadia Public School, 1865-1930. 1872 – March 1873 N. Lawrence. April 1887 E. J. Hadley. 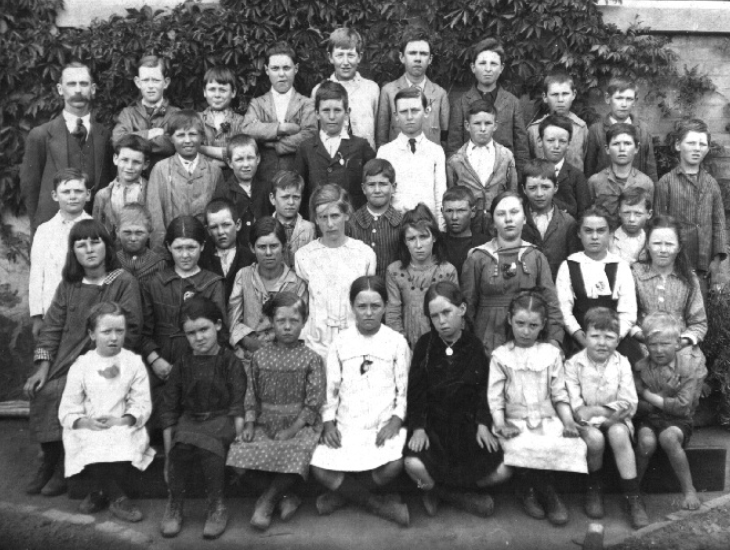 Cadia Public School, c.1910, with Mr. & Mrs. King (schoolmaster).